Shop short wigs that range from adorable pixie styles to vogue page boy looks. Our on-trend synthetic and short human hair wigs are ideal for most any face shape and upkeep is a snap! 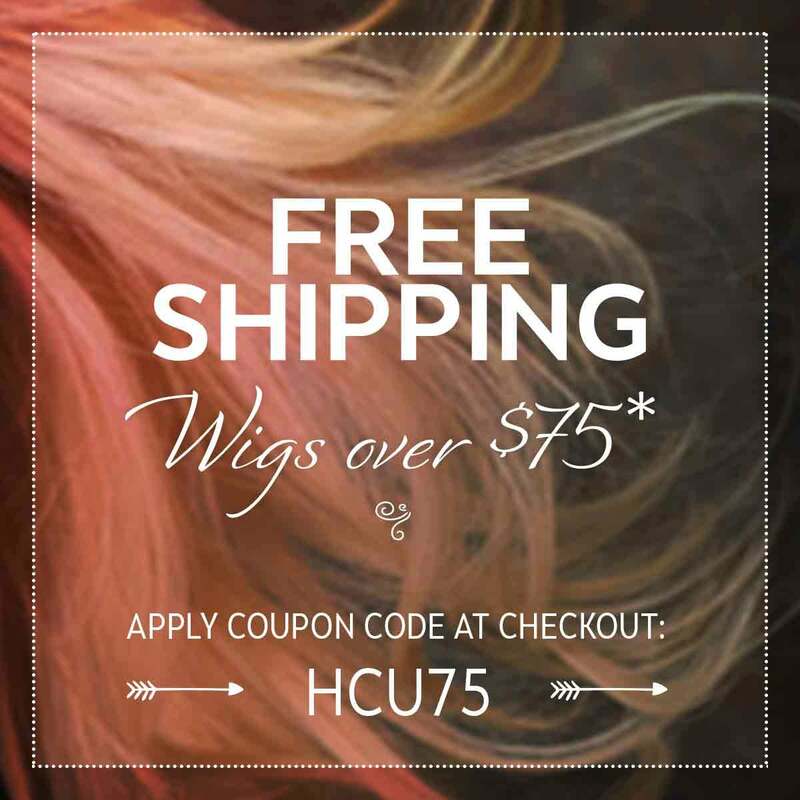 Discover our short hair wigs today! Something about a short wig has “chic” written all over it. Maybe it’s the instant tousle-and-go styling, or the fact that you can complete an outfit just by throwing it on. At Headcovers, we believe that the perfect wig is the one that gives you more time and energy to go out and live your life. Short hair wigs are the cornerstone of that philosophy. If you’re experiencing hair loss due to cancer, buying a short hair wig can ease the transition as you focus on feeling better. Talk about a lifehack - short wigs combine convenience and style to give you an automatic outfit. If this is your first time buying and wearing a wig, we’ve got you covered - literally. Read through our How to Wear a Wig guide to learn things like how to put on a wig and how to keep it from falling off. Let us be a part of your wig wearing experience and remember that you’re not alone. At first glance, our website may seem overwhelming because of how many options there are. However, the key is to hone in on the silhouettes that are right for your particular face. Like any kind of fashion or style science, choosing a wig is all about geometry. First, stand in front of a mirror and trace your face with a piece of soap or lipstick to determine its shape. Then head over to our Wig Hairstyle Guide for Different Face Shapes to determine which crop you should rock. Our recommended styling techniques for a short cut wig depend on what the wig is made of. A synthetic wig is built with style memory, so it falls back into its natural shape after a wash. The first time you pull it out of the box all you need to do is give it a good shake. To style, comb through with your fingers or a wig comb. A short human hair wig, on the other hand, behaves just like a normal head of hair and will only hold a hairstyle after its been coaxed into place. We generally recommend short human hair wigs for people with wig wearing experience who are prepared to care for and style a higher maintenance wig. To learn more, see our Synthetic Hair vs. Human Hair comparison. Like any investment piece, the key to keeping your short wig fresh is to take good care of it. Wear a wig cap to protect it from your scalp’s natural oils. Keep your wig propped up on a wig stand when not in use away from sun, moisture, and extreme temperatures. Wash your wig as little as possible (every 6-8 wears for synthetic and less). With the right amount of love, synthetic wigs will last 4-6 months, while human hair wigs will be good for about a year. A short wig sets the perfect stage for a world of beautiful accessories. Colorful, dangling earrings tend to look great with a cropped head of hair. Filling in or putting on eyebrows can help to complete the look and frame your facial features. We also love the impact of a bold collar or patterned scarf. Take advantage of the fact that your hair is up and out of the way - show off your collarbones with a delicate necklace. Own your new short cut and let your personal style shine through.